The 7 previous editions of "25 Geekiest"
2012, 2011, 2010, 2009, 2008, and 2007. Researchers Stanley Pons and Martin Fleischmann caused quite a stir when they reported having detected nuclear reaction at room temperatures: cold fusion. From Wikipedia: "The reported results received wide media attention, and raised hopes of a cheap and abundant source of energy. Many scientists tried to replicate the experiment with the few details available. Hopes fell with the large number of negative replications, the withdrawal of many positive replications, the discovery of flaws and sources of experimental error in the original experiment, and finally the discovery that Fleischmann and Pons had not actually detected nuclear reaction byproducts." 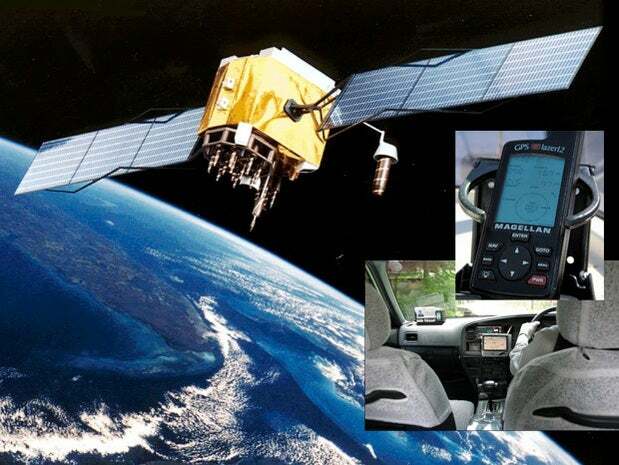 At an eventual cost estimated at $5 billion, the U.S. Department of Defense launched into orbit the first of what would be 24 satellites making up the Global Positioning System. 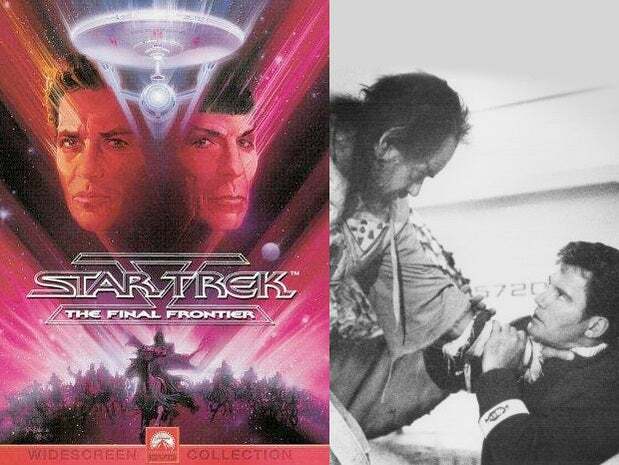 The last was launched in 1994. Six million people were left in the dark for 9 hours after a geomagnetic storm took down the Hydro-Quebec power grid. Parts of the northeastern United States and Sweden also lost power. With the name Notes originally referring to both the client and server software, Lotus Notes 1.0 -- the brainchild of Ray Ozzie and his cohorts at Iris Associates -- was released in 1989. Groupware it was called, and soon it was the leading email and collaboration product on the market. 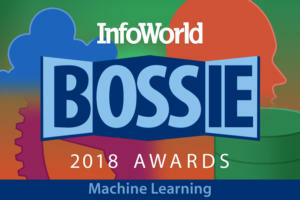 Lotus would buy Iris, IBM would buy Lotus, and the product today is known as IBM Notes. 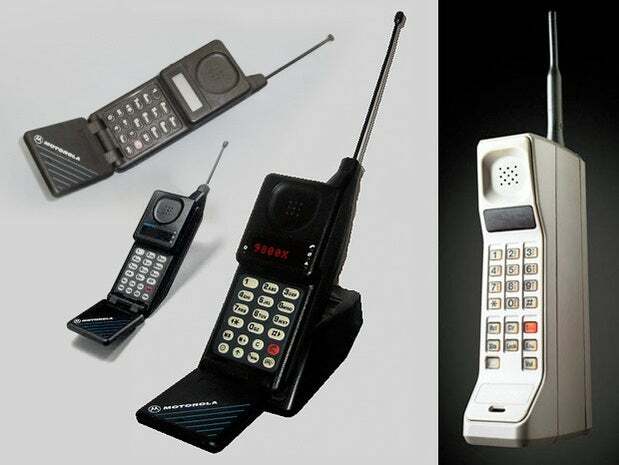 With its innovative "flip" feature, 9-inch length, and a weight of only 12.3 ounces, the Motorola MicroTAC was the smallest and lightest phone to date when released on April 25, 1989. 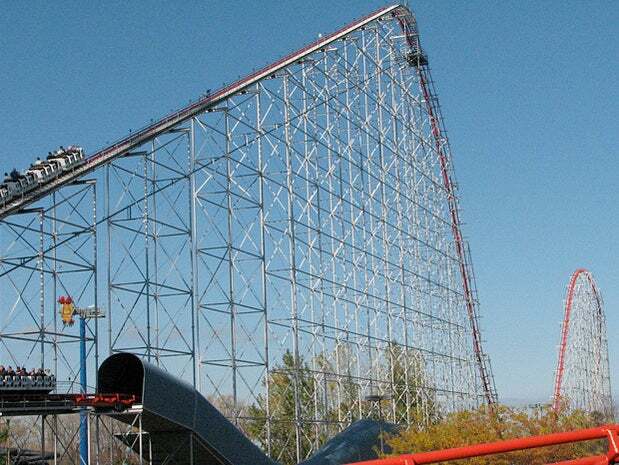 When it opened on May 6, 1989, the Magnum XL-200 roller coaster at Cedar Point amusement part in Sandusky, Ohio, was the tallest (205 feet) and fastest (72 mph) such ride in the world. Price tag: $8 million. 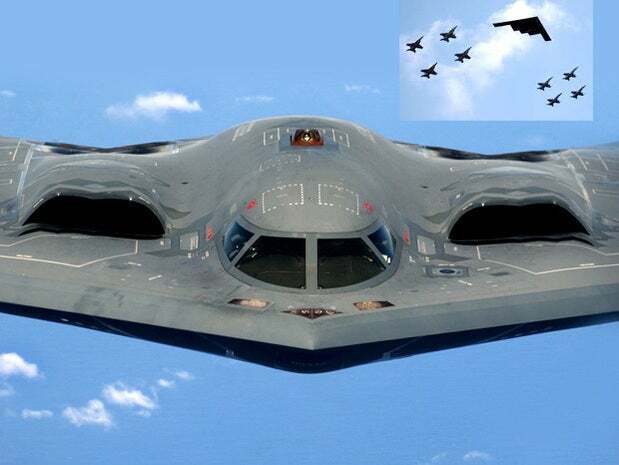 On July 17, 1989, the B-2 Spirit stealth bomber took flight for the first time. Manufactured by Northrop Grumman at a cost of more than $2 billion per plane, 21 were built and all but the one that crashed in 2008 remains in service. When Nintendo's 8-bit handheld video game device Game Boy was released in North America in August of 1989, the allotment of 1 million units sold out within a few weeks. One of them would have set you back $90 at the time. As a New Jersey teenager in 1982, Scott Safran had set a world record playing the video arcade game Asteroids. "He quit when his score reached a stratospheric 41,336,440 -- with several ships in reserve," according to this story. Two decades later, with the record still standing, Safran received a posthumous award for his achievement after an exhaustive search for him revealed that he had died in 1989 in a fall from an apartment balcony. From CEO Barry Shein's Web site: "The World was the first ISP on the planet to provide commercial internet dial-up access to the general public, in November 1989." Previously the Internet had been limited to academics and the military. Reading up on this movie shows that it wasn't one of the more popular in the series. But how can a Star Trek movie not be on such a list? Guy Williams, who from 1965 to 1968 played the father of the Robinson family in the TV series "Lost in Space," died of a brain aneurysm on April 30, 1989, at the age of 65 in Buenos Aires, Argentina. Released Oct. 3, 1989, SimCity is a city-building simulation game designed by Will Wright, co-founder of Maxis. I just asked my 12-year-old Minecraft fanatic if he's ever heard of SimCity: "I think so, but I’ve never played it." On Dec. 6, 1989, the BBC aired the final episode of the original "Doctor Who" science fiction television series. The show had debuted in 1963 and ran for 26 seasons. Ensuing incarnations continue to this day. On Aug. 25, 1989, the NASA space probe Voyager 2 reached its closest proximity to Neptune, approximately 3,000 miles, thus completing its interplanetary mission. The only craft to have reached Uranus and Neptune, Voyager 2 is expected to continue transmitting radio messages until 2025. The R&B pop pair Milli Vanilli, a.k.a. Fab Morvan and Rob Pilatus, made lip-synching infamous in 1989. From Wikipedia: "The first public sign that the group was lip-synching came during a live performance on MTV ... . As they performed onstage live in front of an audience, the recording of the song 'Girl You Know It's True' jammed and began to skip, repeating the partial line 'Girl, you know it's ...' over and over on the speakers. They continued to pretend to sing and dance onstage for a few more moments, then they both ran offstage." The first tiltrotor aircraft designed for military use, the V-22 Osprey was anything but an overnight sensation due to design problems. 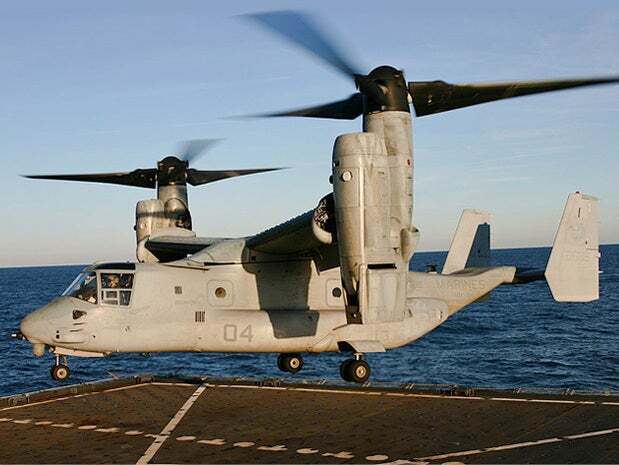 First flown on March 19, 1989, the V-22 Osprey was not used officially by the United States Marine Corps until 2007. Geek credentials? How's a perfect score on the SATs ... at age six? Dr. Douglas "Doogie" Howser received his make-believe license to practice make-believe medicine in a TV series at age 14. It was a fun show that has undoubtedly made every young doctor since endure a "Doogie" wisecrack or two. On Jan. 26, 1989, AT&T did something it had not done previously in its 103-year history: announce a quarterly loss. Reported the Los Angeles Times: "The losses, which were projected by AT&T on Dec. 1, stemmed from a one-time charge of $6.7 billion to write off outdated switching equipment and to convert its network to all-digital operation. AT&T officials and analysts said the write-off masked improved operating earnings and the general financial health of the company." Mathematician and computer scientist William Kahan received the Turing Award for being lead author behind the IEEE 754-1985 standard for floating-point computation. 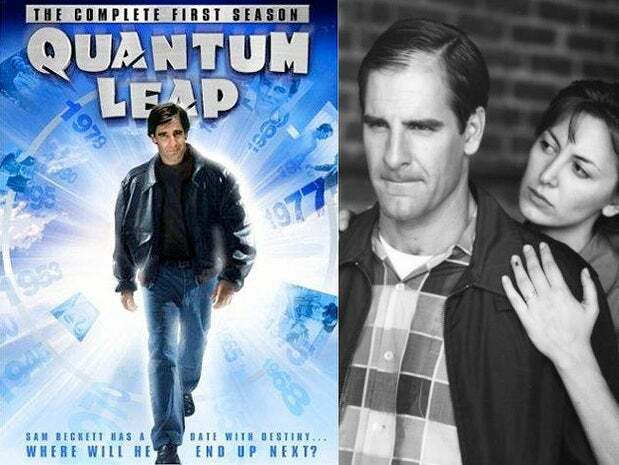 Time-travel adventures and Scott Bakula, not necessarily in that order, earned this 1989 series the No. 19 spot on TV Guide's "Top Cult Shows Ever" list back in 2007. In September of 1989, the United States Postal Service began issuing the first of 60 million stamps showing a dinosaur that looked like and was labeled a brontosaurus. The problem was that a brontosaurus is not actually a brontosaurus, but rather is an Apatosaurus. The stamp caused an uproar among some, but not all. This Washington Post story has details. Tass, as in the official Soviet news agency Tass -- that one. They "Matter-of-factly" reported the landing of an alien spaceship carrying rather large aliens in the Russian city of Voronezh. It was in all the papers. Follow-ups cast doubts, however. And Tass apparently had no photographers available on that momentous day.